Operation Union was a military operation conducted by the United States Marine Corps during the Vietnam War. 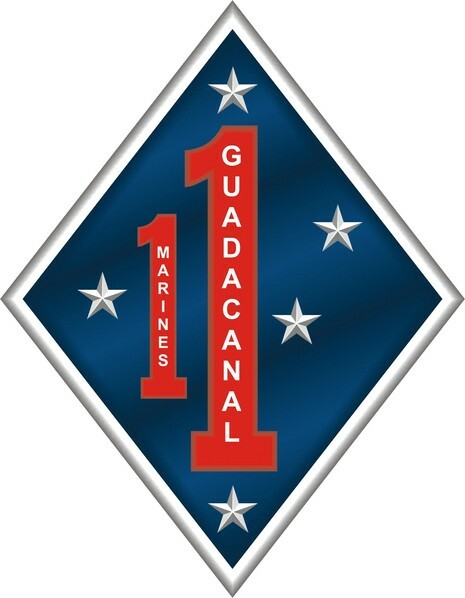 It was a search and destroy mission in the Que Son Valley carried out by the 1st Marine Regiment. The object of the operation was the 2nd Division of the People’s Army of Vietnam (PAVN, often in US sources "North Vietnamese Army" or NVA). Launched on April 21, 1967 the operation ended May 16. The Que Son Valley is located along the border of Quang Nam and Quang Tin provinces. 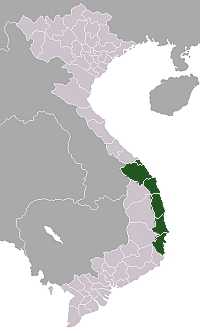 During the Vietnam War it lay in the southern part of South Vietnam's I Corps Military Region. Populous and rice-rich, the valley was viewed as one of the keys to controlling South Vietnam's five northern provinces by the communists and by early 1967 at least two regiments of the 2nd Division of the PAVN had been infiltrated into the area. The Que Son Valley was also recognized as strategically important by Military Assistance Command, Vietnam (MACV). The 5th Marine Regiment minus its 2nd Battalion, an experienced force that had fought in Vietnam since their arrival in the Summer of 1966, was assigned to the valley in 1967 to support the outnumbered the Army of the Republic of Vietnam (ARVN) forces in the area, the 6th ARVN Regiment and the 1st ARVN Ranger Group. Since mid-January 1967 Foxtrot Company, a reinforced company of the 2nd Battalion 1st Marines (F/2/1), had manned an outpost atop Nui Loc Son (Loc Son Mountain), which dominated the southern Que Son Valley. 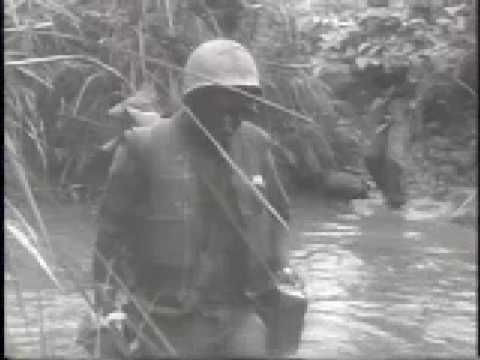 Although the Communist forces operating in the valley did not initially take much notice of the Marines, on April 15, 1967 the Foxtrot company commander advised Colonel Emil Radics, the commander of the 1st Marine Regiment, that enemy units appeared to be preparing for an all-out assault on the outpost. Radics developed a plan for a multi-battalion assault and sweep aimed at clearing PAVN units from the vicinity of the mountain. The plan was approved as Operation Union by Major General Herman Nickerson, the commanding general of the 1st Marine Division, on April 20 and was put into action the following morning. Acting as bait, Foxtrot Company was ordered to leave its outpost to sweep toward Binh Son, the nearest enemy-held village complex. Contact with PAVN elements began around 7 a.m., shortly developing into a full battle. The Marine company was soon pinned down in a tree line near Binh Son, thereby fixing the PAVN forces who were soon subjected to a withering air and artillery bombardment. This allowed Foxtrot Company to attack into Binh Son as the 3rd Battalion 1st Marines (3/1), arrived to support them via a helicopter assault. The main body of the 3/1 fought into the village to join Foxtrot in engaging the enemy while other elements of the battalion landed from helicopters east of the battlefield to block the enemy’s most likely escape route. During the afternoon, United States Army 175 mm self-propelled artillery and Marine 105 mm howitzers established separate firebases near the battlefield, and that evening the 1st Battalion 1st Marines (1/1) landed atop Nui Loc Son. By the morning of April 22 the PAVN had been driven out of Binh Son and withdrew to the north. From that time until the end of Operation Union on May 14 the PAVN was hotly pursued by the Marines and the 1st ARVN Ranger Group in a series of bitter engagements that were costly to both sides. The PAVN 21st Regiment sustained hundreds of casualties and was left unfit for combat. It is believed that Operation Union, together with the succeeding Operation Union II, inflicted over three thousand casualties on the PAVN. Although the Communists had lost ground around Nui Loc Son they remained in firm control of much of the rest of the Que Son Valley and were steadily reinforced. The 5th Marine Regiment also sustained over 300 casualties and the entire regiment received the Presidential Unit Citation (US) awarded by President Lyndon Johnson. On May 26, 5th Marines, which had assumed control of the latter stages of Operation Union, kicked off Operation Union II. On 21 April 1967, Alpha and Charlie Companies were attached, or “chopped,” to 3rd Battalion, 5 th Marines, and committed to Operation UNION I. Alpha Company's Marines proceeded to the 3/5 combat base and became the rear security force for 3/5 for the next couple weeks. Charlie Company was committed to the field, and was assigned as battalion reserve to take up the “drag” position, responsible for 3/5's rear security. It would be nine long days before Lt. Col. Peter Hilgartner, the CO of 1/5, would get his Marines back and be placed in command of the operation in the field. Lt. Col. Coffman had completed his combat tour as the CO of 1/5, and Lt. Col. Hilgartner had taken command of 1/5 on 3 November 1966.